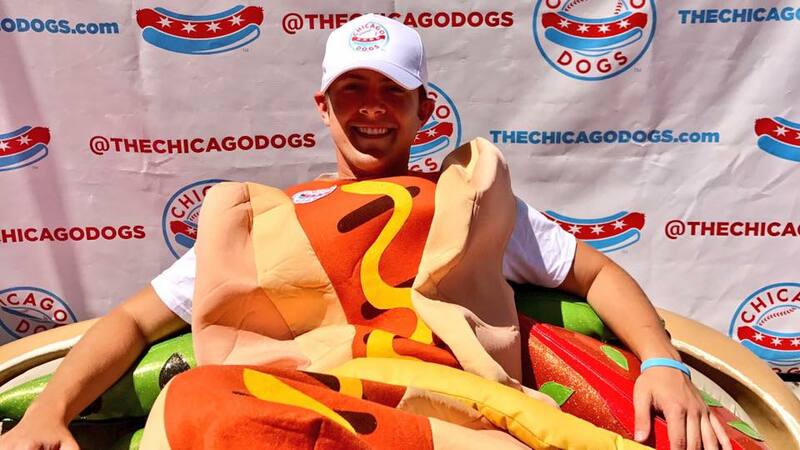 Chicago has a new minor league team called the Chicago Dogs, as in hot dogs. They will be playing in a $60 million, 6,300-seat independent league stadium located at Rosemont near O’Hare airport. Let’s be frank and hope the team is a wiener. Their logo is already looking doggone relishing. A simple curved hot dog with the toppings being four Chicago stars. 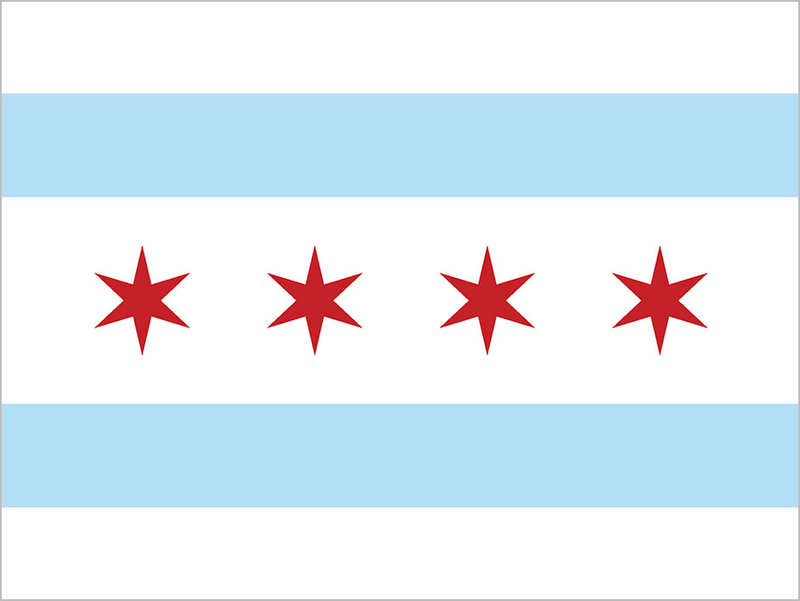 These are the same style stars that appear on Chicago’s flag. Heck, even the hot dog bun acts like the light blue stripes from the flag. Pretty ingenious. Impressive given that the design firm Adrenalin Inc is not from Chicago, but rather Denver. Adrenalin already has Chicago experience having designed the branding for the Chicago Fire ten years ago. 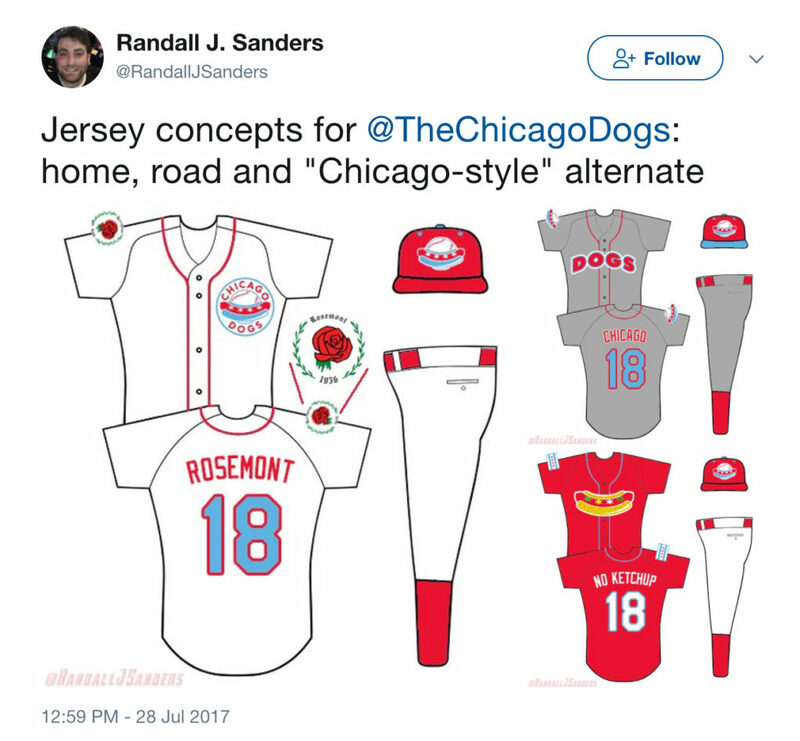 The official Chicago Dog accounts for Facebook and Twitter are using a version of their logo with the name of the team and a baseball. 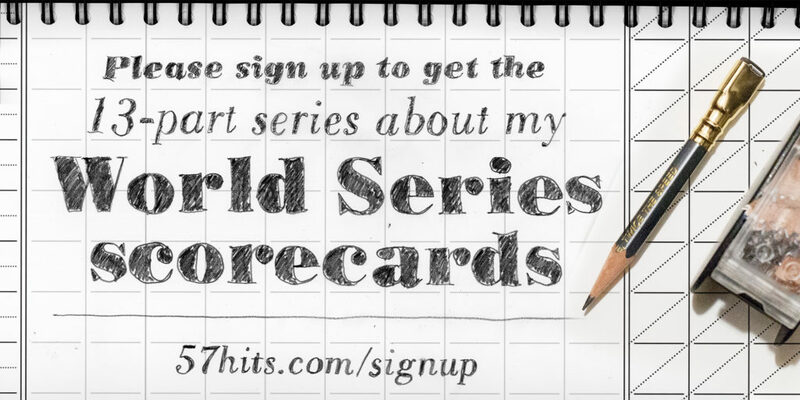 On paper it makes sense to have the team name and the baseball, because it’s a brand new team. 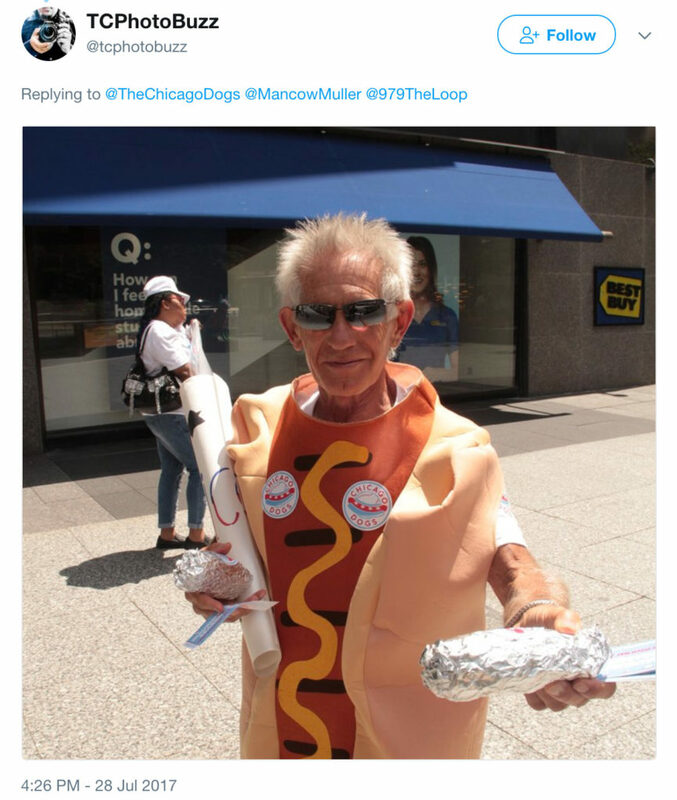 You don’t want people thinking that it’s just some random hot dog stand. This is a minor league team! For real! But does this logo belong on a baseball hat? I’m dying to know what their baseball hats will look like. I’m hoping they go with the simple hot dog on the hat, without the text, without the baseball. The folks doing promos for them are wearing hats with the text in the logo. A professional team shouldn’t have a baseball on their hat. And especially not the entire team name. However, given that it’s a small team in an independent league, they might end up going the ugly route and put the entire logo with the text onto their hats. How about their uniforms? 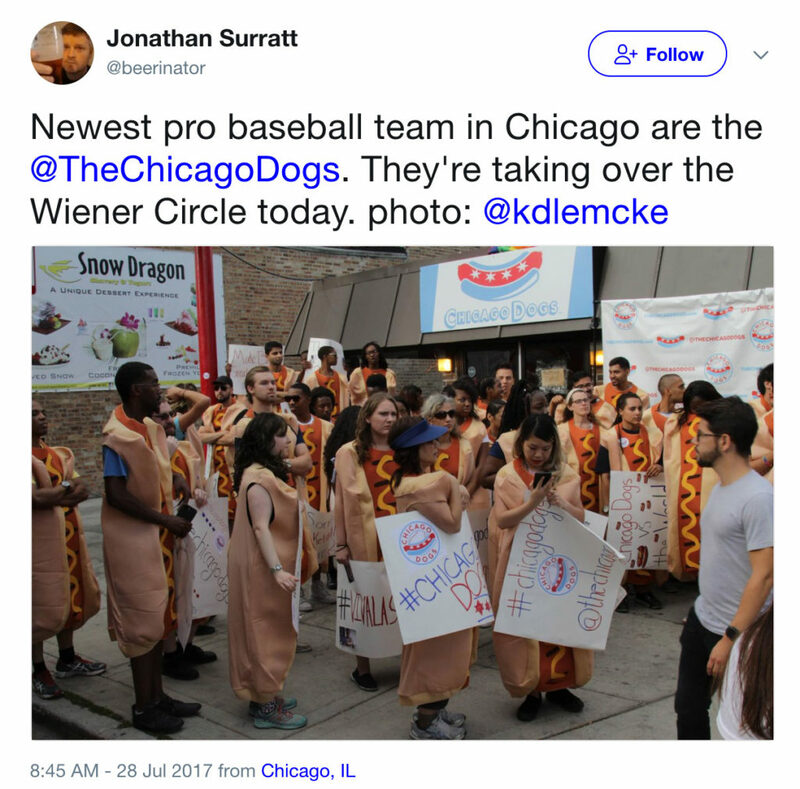 Maybe the players will wear foam hot dogs. Not bad, but let’s remove that baseball from the hat. Imagine if the Cubs had a baseball in their logo. Very minor league. But, hey! This is a minor league team–in fact even lower than minors, it’s an independent league. Of the 11 teams in the American Association League, there is only one that features a baseball in it. But five have a baseball bat.